1. Coffee: How many cups? 2. Mindfulness for weight loss: Esoteric fad or scientific fact? 3. 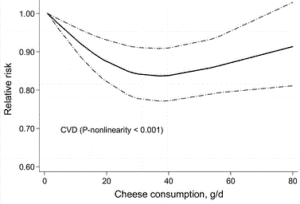 Cheese for heart health… really? 4. Wait, obese brains look different? 5. 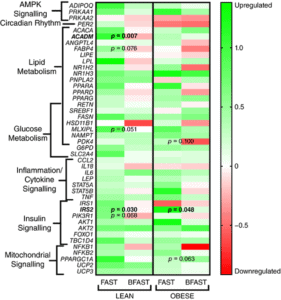 Breakfast-skipping, epigenetics and fat cells: what’s the link? New coffee research sheds light on benefits (Poole et al., 2017). Are you one of billions of other people that cannot live without their daily cup of joe? In fact, a whopping total of 218 meta-analyses were captured in this huge investigation called an “umbrella study”. After going through all data sets, the researchers concluded that gobbling down 3 to 4 small daily cups of coffee (including decaf!) was associated with reduced risks of type 2 diabetes and oral cancer. They suggest that the high antioxidant content of both caffeinated and decaffeinated coffee might be responsible for such benefits. For example, polyphenols in coffee such as caffeic acid may interfere with oxidative stress processes and consequently improve insulin sensitivity in cells, thereby lowering the odds of developing insulin resistance. Increased coffee consumption (up to 4 cups a day) was associated with a reduced risk of several medical complications (Poole et al., 2017). How much coffee (or caffeine) in each cap? The European Food Safety Authority generally regards a maximum caffeine intake of 400mg daily to be safe in healthy adults. This is roughly the equivalent to drinking a maximum of 3 espressos of 30ml each, or 4 small cappuccino mugs of 180ml each. While the study showed that regularly drinking coffee conferred some benefits, the risk of stillbirth and miscarriages in pregnant women was significantly increased at 1 to 8 daily cups, compared to non-drinkers. Note: Whether you’re a coffee lover or not may have some genetic explanation after all! If you want to get the full scoop on how eight “coffee genes” may influence your coffee addiction, detoxification, and metabolization, then you may want to grab this roasty Science Report: Nutrigenomics 101: Coffee and Your Genes (optional resource). Mindfulness for weight loss: Esoteric fad or scientific fact? 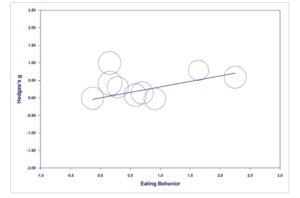 Relationship between eating behaviour and weight loss. Hedge’s g is a measurement of effect size commonly used in meta-analysis (Carriere et al., 2017). But could something as abstract as mindfulness help to thin that waistline? Mindfulness can be described as a state of intense focus through all 5 senses on a present experience, and it has been studied by psychological researchers since the 1970s. In this new Canadian meta-analysis, it’s suggested that this practice could serve to stimulate healthier eating behaviours, which can in turn help with weight loss. 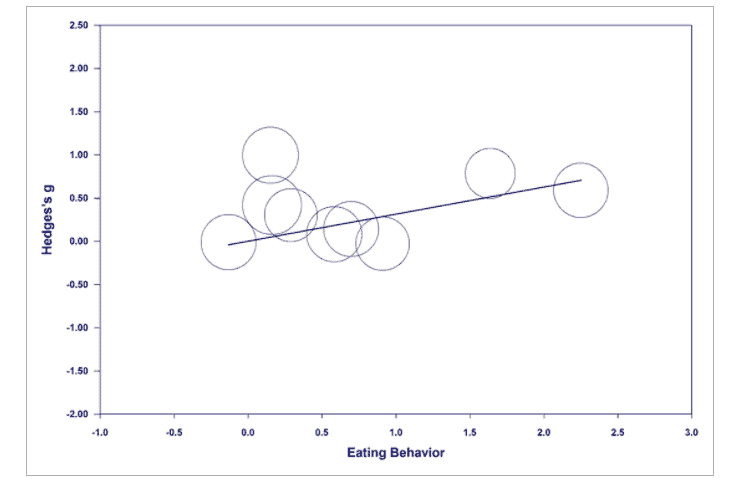 When analysing 19 mindfulness interventions from 1,160 participants, the results showed reduced behaviours associated with binge eating, often occurring on the back of anxiety and emotional distress. The Canadian researchers reported a weight loss of up to 7.5lb (3.4kg) in 16 weeks. That said, when looking at the data, we can’t tell for sure if there were other factors influencing this, such as lower caloric intake or exercise. While not everyone may benefit from mindfulness in the same way, combined with the fact that there are thousands of mindfulness techniques, it’s still interesting to see new research on this as a complementary approach. At the end of the day, it is free and pain free. Cheese for heart health… really? To see what’s going on, we sliced the study behind the headline for you! A group of Chinese researchers investigated the effects of cheese on heart disease risk. They did this by pooling data from 15 observational studies on people’s cheese consumption and their corresponding cardiovascular outcomes. So far, so good. This means they didn’t compare eating cheese vs eating tofu, for example. In other words, all we have here is cheesy data. Very relevant if you are a cheese lover, though! Then… what’s that ideal “daily dose” of cheese for heart health? In this analysis, 40 grams a day conferred the greatest cardiovascular risk reduction. 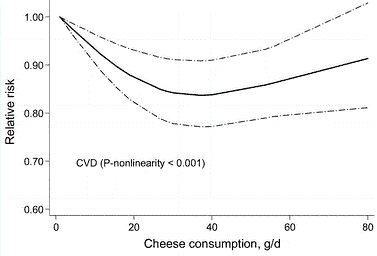 The curve’s lowest point indicates the daily “dose” of cheese with the lowest risk of heart disease was at approximately 40 grams per day – a matchbox size (Chen et al., 2017). 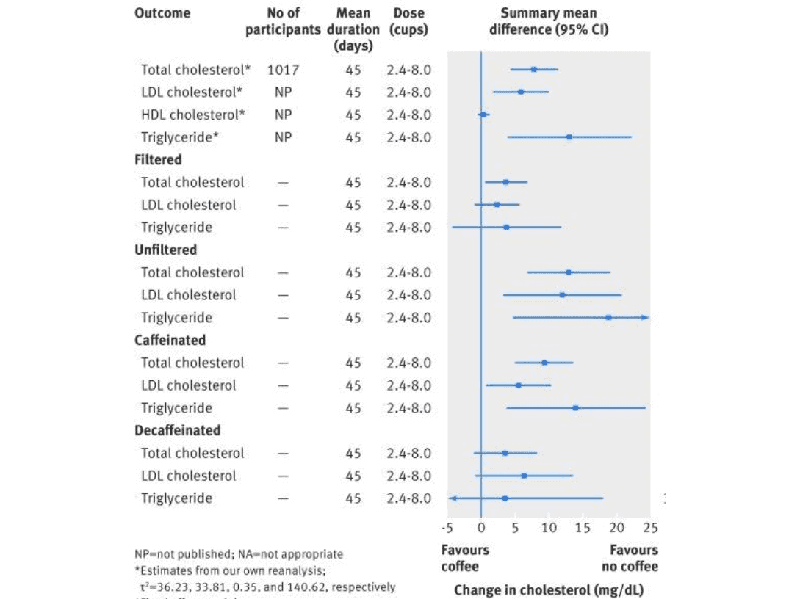 But eating smaller quantities (below 40 grams) translated into a higher heart risk. Well you see, it is believed that the high content of calcium in cheese could be behind its benefits. And if that explanation wasn’t fascinating enough, the presence of beneficial bacteria (probiotics) in cheese has been suggested to improve blood lipid profiles such as HDL cholesterol, associated with lower risk of heart disease. While the study mostly included semi-hard and full-fat cheeses, I’d be interested to see new research on the effects of other cheese types, like low-fat cream-cheese. Wait, obese brains look different? Disruption in the white matter of obese participants vs healthy controls (Bertolazzi et al., 2017). By now you’re probably aware that being above a certain BMI range (18.5-24.9) increases the risk of a myriad of conditions, including metabolic syndrome, type 2 diabetes, and heart disease. But can obesity also affect brain function? In a new type of investigation, an advanced type of MRI scan known as DTI (diffusion tensor imaging) was used to compare the brains of obese and healthy-weight adolescents. They saw multiple alterations in the white matter of obese participants, compared to the healthy controls. But, what is white matter? And does it matter?! White matter is brain tissue that is important for information exchange and learning processes. 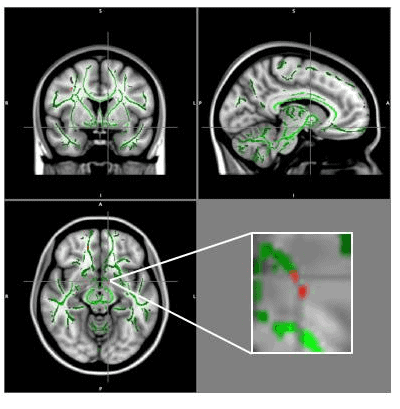 It was worrying to see that the brains of obese participants had alterations in white matter areas known to be involved in appetite control, emotional regulation, and food reward. Ultimately, these brain changes may help to better explain why obese individuals often struggle to lose weight despite their best efforts. This study was particularly interesting because it makes us more aware of the extraordinary brain-diet loop that exists, and how we may be able to go about appetite control as we unravel the workarounds of our brain. Breakfast-skipping, epigenetics and fat cells: what’s the link? Epigenetic effects of breakfast-skipping (Gonzalez et al., 2017). In this new trial, 48 healthy lean and obese participants were randomised to either eating breakfast or fasting until midday for 6 weeks. The scientists’ objective was to explore the differential effects of having breakfast vs fasting on adipose tissue gene expression. 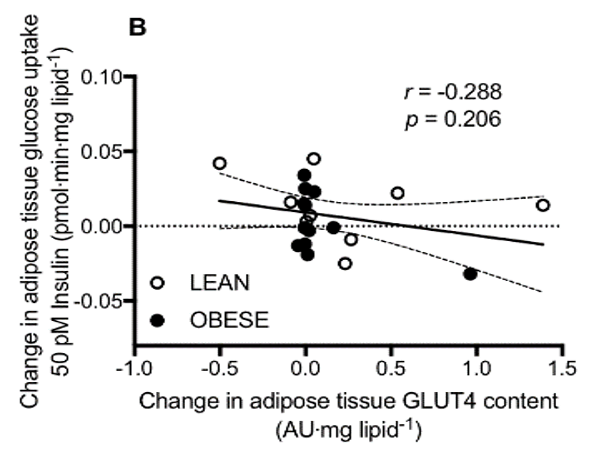 Changes in the production of the glucose transporter GLUT4 in response to fasting (Gonzalez et al., 2017). Adipose tissue is the body’s warehouse of fat. It is primarily composed of adipocytes: cells filled up with enormous fat droplets. 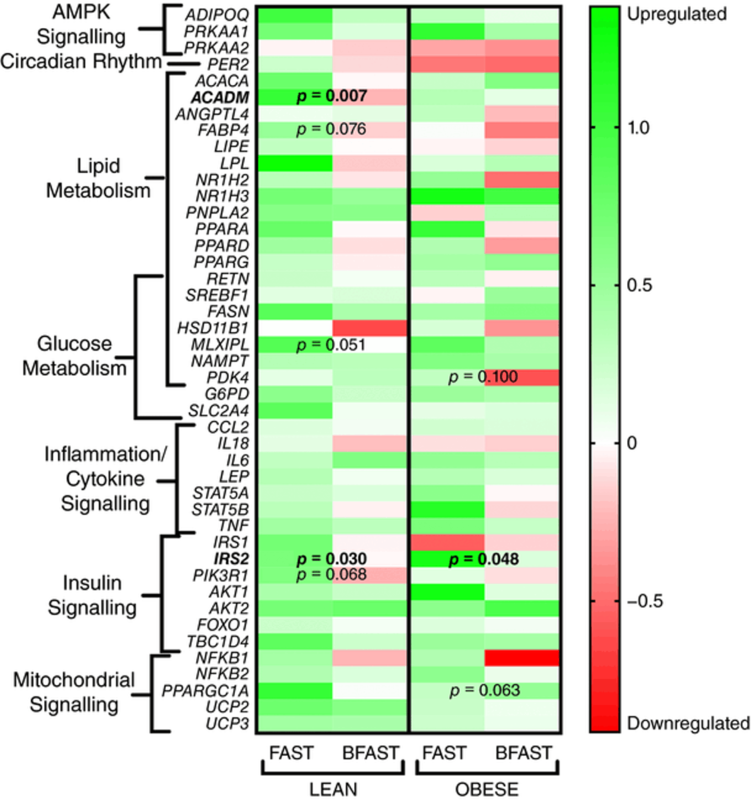 The study revealed that fasting activated fat-cell genes involved in improving insulin sensitivity and lipid turnover in adipocytes, compared to those who ate breakfast. Interestingly, these differences were only true in the lean subjects. 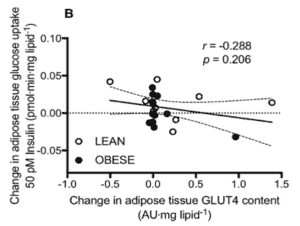 This is because fat stores in the obese are already large enough so an adaptation inhibits the adipocytes from engulfing more glucose and fat, preventing them from getting any bigger. How Does Your Brain Make Food Decisions?